#Microsoft: Twitter, Twitter, here I stand. What’s the fairest client in the land? – No, it’s not the Twitter for Windows Phone. 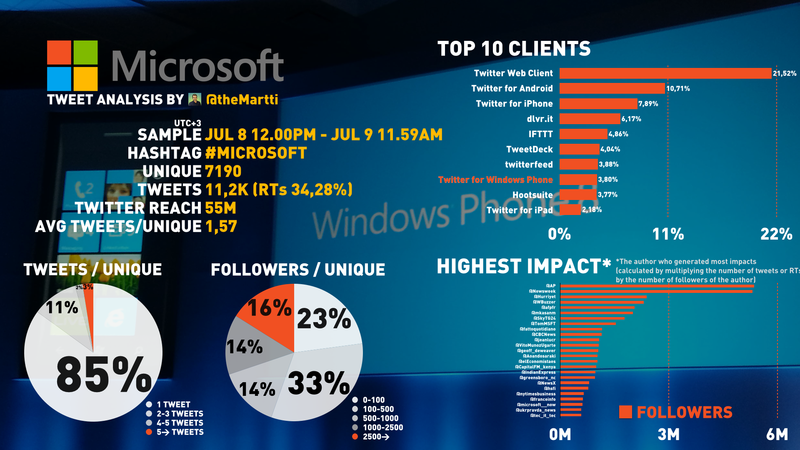 Sad but true: People tweeting about Microsoft’s job cuts are not tweeting on Windows Phone. The author is the Social TV Producer. Martti Lindholm writes (analyses & visualizes data) about phenomena, analyzing, social media services and integrating them into the content.